This jester has a deep appreciation for Dr. Stephen Morse and his many works, especially those related to genealogy. I have used his One Step Web Page for many years. So it was thrill to meet him at various conferences and I was touched at his kind offer to help moje zona read her grandparent’s tombstone (alas the jester struggles with his Hebrew language skills). I have followed his recent work to make yet a 3rd generation soundex algorithm (for us Slavics). Originally, we had American Soundex, which you still see on Immigration documents (mine is E420). Then along came the most excellent Daitch-Mokotoff Soundex which was a vast improvement for those whose heritage was Slavic (mine is 084000) and you would see it on Russian Consular records. Recently Dr Morse has developed the Bieder-Morse Soundex algorithm which further improves name matches (by eliminating false matches). So my family name would have Bieder-Morse soundex tokens of: elaS elas [exact match tokens only] . I think only the JewishGen website has implemented that matching. Now Dr Morse has an article(Genetic Genealogy Revisited) in the APG’s professional journal: “Association of Professional Genealogists QUARTERLY”. It was on the use of genetics in genealogy and he used the Romanov Family mystery as a demonstration of using genetics to solve a question. Now I read in the Current issue of the Smithsonian, the Resurrecting the Czar, article. It too covers the latest background on murder mystery of Czar Nicholas II and his family and attendants. I found that the two aritcles read together give a fascinating account of the story. Now this jester is not a fan of the Russian Empire (even though my grandparents and their parents were born into Russian-Poland partition). The Rus betrayal of Poland not even a century after the great King Jan Sobieski, the Savior of Vienna [indeed all of Europe], the “Lion of Lechistan” and their betrayal again in 1939 at the start of World War II sour my feelings for our brother Rus. So while I enjoyed the two articles read back-to-back, I was appalled by a few “royalists” who want to bring back the monarchy to the Russian Federation. One woman artist actually is hoping for a Russian fascist (to clean up the mess??) followed by a transition back to the monarchy. That would be quite a rewind of history huh? Czech, Lech and Rus – there is a legend of three brothers that settled central and eastern Europe. Czech went on to found the Czechs and Rus went on to found the Russians. Lech and Lechistan became Poland. So we can see again that monarchies and the battles between them are really nothing more than family squabbles done on a grand scale. By the way both articles mention the British monarchy and their family connection to the Romanovs (via Hapsburgs). 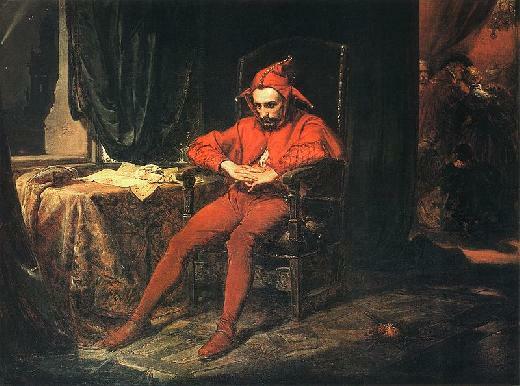 Canute the Great was a Grandson of Mieszko I (first king of Poland) and of course another ancestor of this jester, the twice king Stanislaw Leszczynski, had a daughter marry into the Bourbons. Alas all of Poland’s goodwill and family relationships could not prevent the Deluge and Poland’s slip from History’s main stage. We will have to content ourselves that Rus and their partitions, produced Kosciuszko and Pulaski and they in turn helped to produce America.